Past recipients of the awards include Earvin “Magic” Johnson, Jack Nicklaus, Kareem Abdul-Jabbar, Jim Brown, Bill Russell and last year’s winner, Colin Kaepernick. For more on the Muhammad Ali Legacy Award, click here. Cena also spoke about his work with the Make-A-Wish foundation, which has seen him grant over 600 wishes to kids in need of a pick me up in their lives. 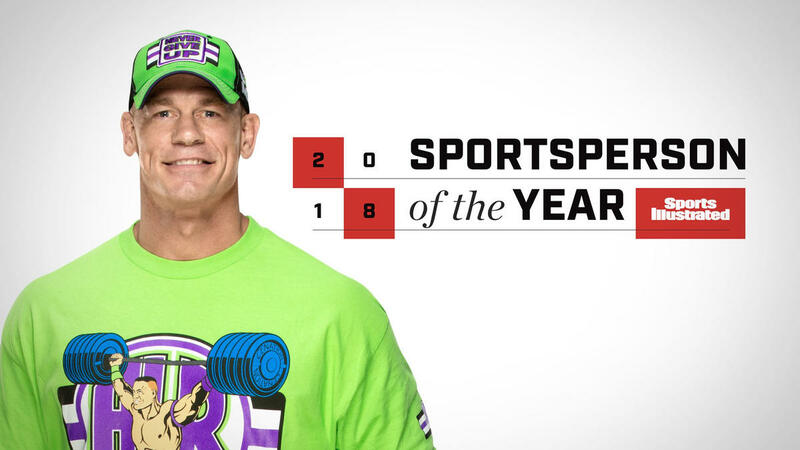 TJR Thoughts: Congrats to Cena on the tremendous honor. He’s a good man. The names of the previous winners are pretty huge in the sports world as men that are legitimately in the top ten in their fields. At least most of them are. Kaepernick is not a legendary sports figure like the others, but he’s been in the spotlight for the last few years. As for Cena’s WWE career, he returns to the ring later this month and his expected TV return is the first WWE Raw of the year on January 7. Cena will also be promoting the Bumblee movie that opens in late December.